Cundiff & Associates, CPA, P.C.Cathy Quinnelly - Cundiff & Associates, CPA, P.C. Cathy Quinnelly - Cundiff & Associates, CPA, P.C. 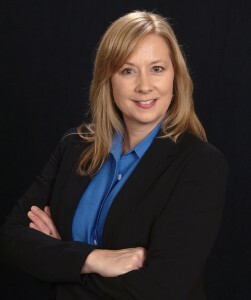 Cathy is the Firm Administrator of Cundiff & Associates CPA, P.C. after having started her professional career with several small to mid-size companies and subsequently advancing though the ranks of private industry. Her experience has included managing the day-to-day operations, preparing quarterly and annual payroll tax returns and financial statements. Her wealth of knowledge on the how-to’s of running a successful business is now being carried over to Cundiff & Associates CPA, P.C. Cathy is responsible for processing payroll for our clients and taking care of the daily operations of both offices. Cathy is committed to giving back to her community in many ways. She is a member of the Winchester-Frederick County and Prince William County-Greater Manassas Chambers of Commerce. She is also involved with her children and the community by helping in the schools. She served as the leader to her daughter’s Daisy and Brownie troop and is currently on the executive board for the Choral Boosters at her daughter’s school. Cathy is a native to the area where she lives with her husband and two daughters.